This islands…let us know where you want your villa…. 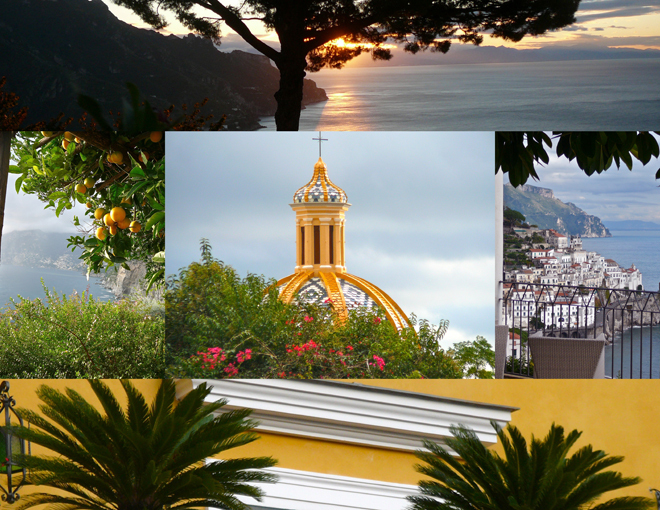 The Amalfi Coast is best from Easter to end October ( most places close November 1), a beautiful narrow strip of land, with amazing vistas, lemon groves, azur blue seas and the umbrella pines – whose silhouettes frame the beautiful views. Ravello is my favourite town, high on the hillside it has amazing views, is a bit flatter for people who don’t want too many stairs (although be warned stairs are everywhere on the Amalfi coast…be prepared to climb.) Positano – the colourful town perched at the water’s edge, is quintessential “amalfi coast” – here you find beautiful villas, wonderful hotels, a busy town, the beach is a pebble beach; Amalfi town is busy, but quiets down after 5. All along the coast between Positano and Salerno – you find the other charming towns of Praiano, Minori, Vietri, and more… rent a villa on the Amalfi coast.